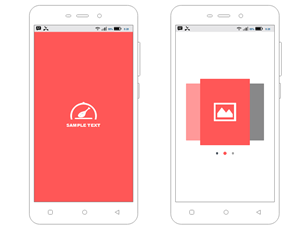 Try a comprehensive Android wireframe tool to create and share UI design for Android. 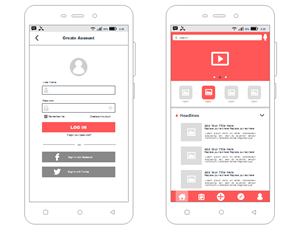 The predesigned static Android wireframe examples give a quick and inspirational start. A wireframe is a two-dimensional illustration of a page's interface that specifically focuses on space allocation and prioritization of content, functionality available, and intended behaviors. Wireframing is the step in the design process where you begin to lay out your screens and arrange elements to best accomplish a particular purpose. Fine UI wireframes help to beautify and optimize the design, thus attracting consumers to pay for your phone or application. 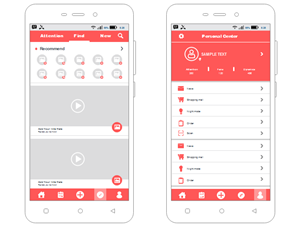 Some pre-made Android UI wireframe templates from our software are displayed as follow to inspire beginners. Click on the picture or the text below to download the vector template. Good wireframing tools can build the best communication bridge between designers, project manager and developers. Use professional wireframing software or vector illustration tools to improve and complete your design makes the drawing process easy and fast. The Cloud supports team collaboration so that you have more time for discussion and writing code. Simple arranging tools, including guides, rulers, and the grid tool, help to place and align elements on the canvas automatically. 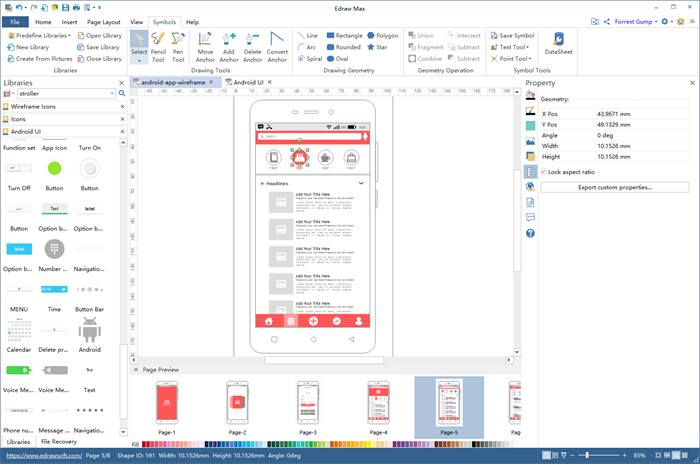 As a comprehensive Android wireframing tool, it's an ideal desktop software for both low-fidelity wireframes and more sophisticated wireframes. This powerful wireframe software accelerates your design process with predesigned and frequently updated mobile UI symbol libraries to build Wireframe Android apps. Through the easy drag-and-drop action, you can add symbols you've selected to the canvas and create real wireframes in no time. You can customize all the vector designing elements by adjusting the size, shape direction and color etc. 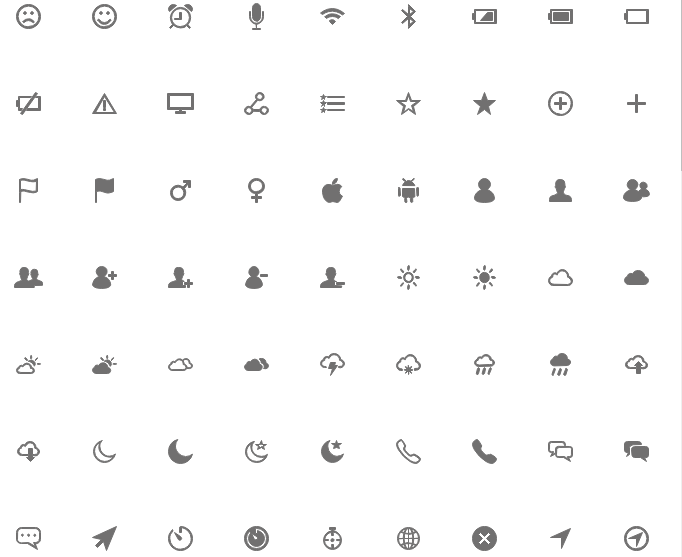 The following is only part of Android UI symbols from Edraw libraries. 1. Ready-to-use stencils for all popular use cases. 2. 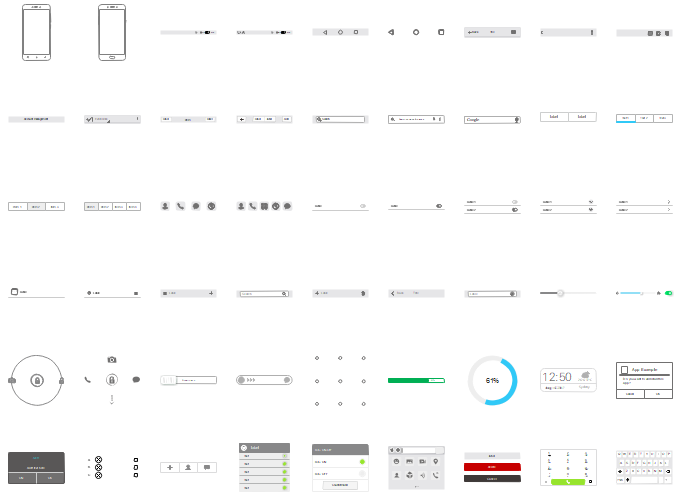 Built-in library with a great number of popular wireframing symbol sets and templates. 4. Fast, intuitive and precise editing interface. 5. Extensive range of exporting options such as PNG, PDF, JPEG, SVG, Visio, MS Word, PPT, HTML, etc. 6. Cloud for files storage and team collaboration. 7. Support adding complementary data such as pictures, comments, notes, hyperlinks, and attachments.